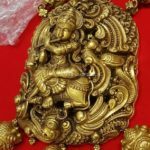 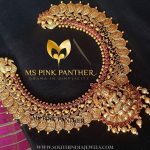 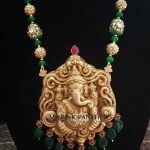 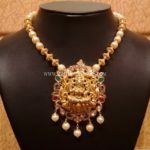 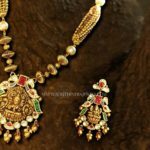 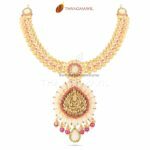 1 Gram gold antique lakshmi temple necklace set with matching earrings and tikka. 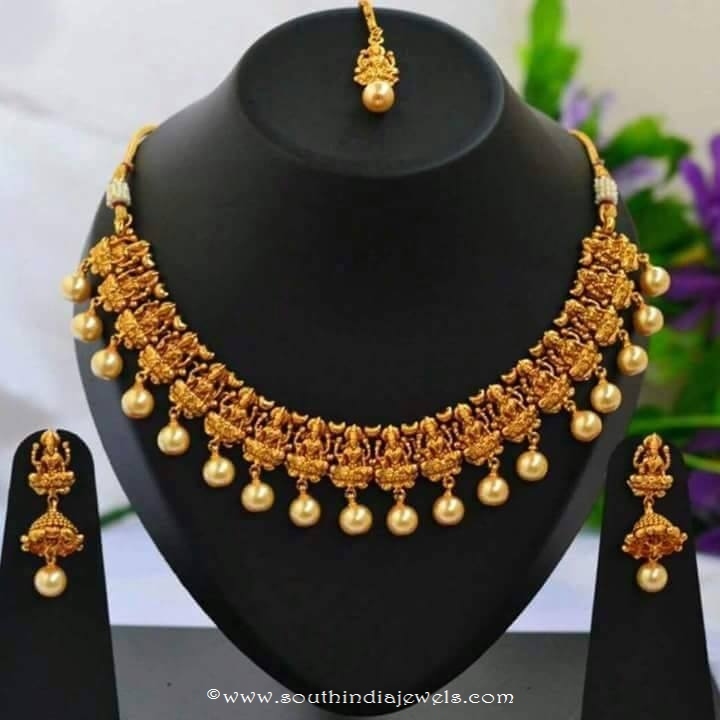 This temple jewellery has dull antique finish with pearls embellishing it beautifully. 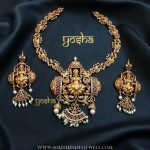 For inquiries please contact 1 Gram Jewellery, 098454 76270.